五味 睦佳 (監修) [Gomi Mutsuyoshi (supervisor)], ジョー・マクレイノルズ (編集, その他) [Joe McReynolds (Editor)], 伊藤 和雄 (翻訳) [Ito Kazuo (Translator)], 大野 慶二 (翻訳) [Ohno Keiji (Translator)], 鬼塚 隆志 (翻訳) [Onnuka Takashi (Translator)], 木村 初夫 (翻訳) [Kimura Hatsuo (Translator)], 五島 浩司 (翻訳) [Goto Koji (Translator)], 沢口 信弘 (翻訳) [Sawaguchi Nobuhiro (Translator)], 中国の進化する軍事戦略 [China’s Evolving Military Strategy] (Tokyo: 原書房 [Hara Shobo], 2017). Joe McReynolds, ed., China’s Evolving Military Strategy (Washington, DC: Jamestown Foundation, second edition, 2017). Available through Brookings Institution Press. For over two decades, the People’s Republic of China has been engaged in a grand project to transform its military into a modernized fighting force capable of defeating the world’s most powerful militaries through asymmetric means. However, despite the considerable attention that has been devoted to cataloging Chinese advances in weapons and hardware, much less is known about China’s strategic thinking. China’s Evolving Military Strategy fills this gap by offering sector-by-sector expert assessments of the latest trends in Chinese military thought under Xi Jinping, covering not only traditional battle-spaces such as the air and sea but also China’s strategy for the new domains of space, cyberspace, and electronic warfare. China’s Evolving Military Strategy is essential reading for anyone seeking to understand the world’s most important bilateral national security relationship. 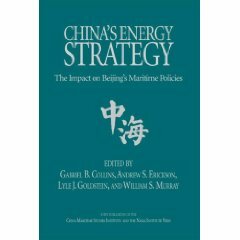 Roughly once every generation, a powerful, highly influential organization within the Chinese People’s Liberation Army (PLA) releases a new edition of the Science of Military Strategy (SMS), a comprehensive and authoritative study that details the strategic approach that the Chinese military will take in the coming years in response to the threats and challenges facing China. 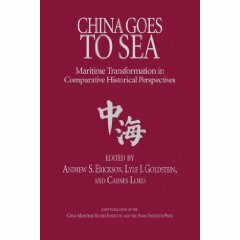 The recent release of a new edition of SMS signals the potential for dramatic shifts in the PLA’s approach to a number of strategic questions, but the book remains underutilized by many Western China analysts due to the lack of both an English translation and expert analysis to place these changes into context. The second printing includes a new chapter by Peter Mattis on Chinese Military Intelligence. Joe McReynolds is a research analyst at the Center for Intelligence Research and Analysis with expertise in Sino–American national security issues, including China’s defense science and technology development, cybersecurity, network warfare, and IT sector civil–military integration. His scholarly work focuses primarily on China’s computer network attack capabilities, doctrine, and strategy. McReynolds has been invited to brief members of the United States, Taiwanese, and Japanese governments on his research, and his research findings have been reported in publications such as the New York Times and China Daily. Andrew S. Erickson, “Doctrinal Sea Change, Making Real Waves: Examining the Naval Dimension of Strategy,” in Joe McReynolds, ed., China’s Evolving Military Strategy (Washington, DC: Jamestown Foundation, 2016), 99-132. Powered by the world’s second largest economy and defense budget, beyond its shores China has been formulating and implementing a consistent, incremental strategy of prioritizing the upholding and ultimate resolution of its outstanding territorial and maritime claims in the Near Seas (Yellow, East, and South China Seas), while more gradually developing an outer layer of less-intensive capabilities to further its interests and influence farther afield. Although China is often frustratingly opaque to outside analysts with respect to specific military hardware capabilities, when it comes to the military “software” of strategy that informs the organization and use of its forces the People’s Liberation Army (PLA) is often far more transparent, at least in its broader objectives and dimensions. Demonstrably authoritative PLA texts, such as the Academy of Military Science’s (AMS) multiple versions of Science of Military Strategy (战略学, or SMS), are increasingly joined by official Defense White Papers (DWP) as well as a wide range of other publications and data. 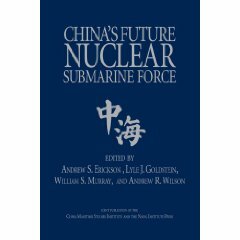 Considering this material together offers a fairly clear picture of where China stands militarily and its intended course for the future. 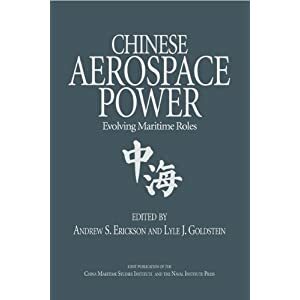 Naval and broader maritime security development, the subject of this chapter, represents the forefront of Chinese military development geographically and operationally. In this sphere, the aforementioned sources portray the PLA Navy (PLAN) as undergoing a significant strategic transformation in recent years. Likewise transforming to support comprehensive efforts at sea are China’s maritime law enforcement (MLE) forces, four of which are consolidating into a China Coast Guard (CCG), and its maritime militia. The PLAN thus retains a lead role in the Near Seas, although there the world’s largest blue water coast guard and largest maritime militia share important responsibilities—typically in coordination with what will soon be the world’s second largest blue water navy. Beijing is thus pursuing a clear hierarchy of priorities whose importance and realization diminishes sharply with their distance from mainland Chinese territorial and maritime claims, while engaging in a comprehensive modernization and outward geographic radiation of its forces.